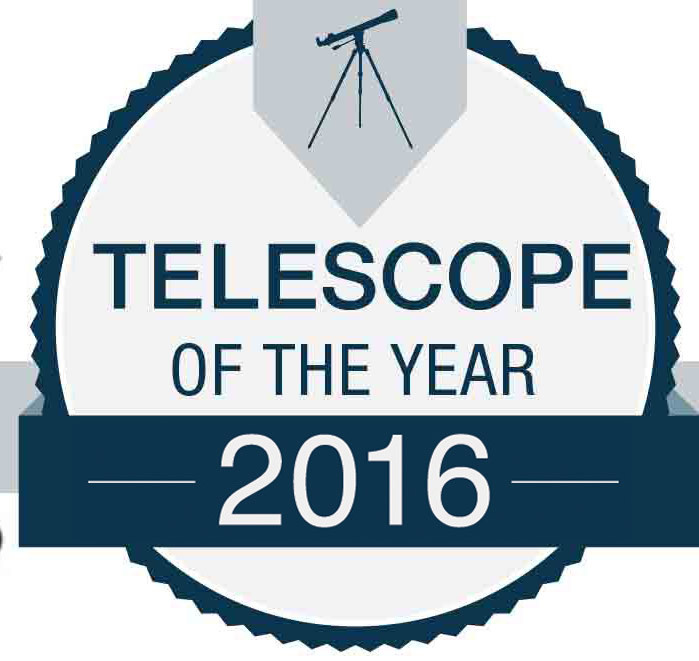 Get the features and performance of a top-of-the-line imaging setup at a fraction of the cost with the Advanced VX 8” EdgeHD Telescope. For our money, it’s the best portable imaging rig available—and best of all, it’s priced under $2,000. Let’s start with the mount: engineered from the ground up for imaging, Advanced VX includes all the same features of Celestron’s flagship CGE Pro mount, but sized for payloads under 30 pounds. You’ll get permanently programmable periodic error correction for dead-on tracking accuracy, integer gear ratios, and an autoguider port. Plus, Celestron’s All Star Polar Alignment procedure is built into the hand control. Even if you don’t have a clear view of Polaris, you can align to the North Celestial Pole for long exposure astrophotography in just a few minutes. When it comes to optical performance, Celestron has you covered. The 8” EdgeHD optical tube delivers edge-to-edge sharpness across DSLR sensors and the largest CCD chips. Plus, you can configure this versatile system for imaging at three different focal ratios: place the camera at prime focus to image at f/10, use a custom-made EdgeHD focal reducer to reach f/7, or attach a Hyperstar lens assembly to the front of your telecope for ultra-fast f/2.2 wide field imaging. The Advanced VX does it all without compromise. All you have to do is capture your cosmic masterpiece. 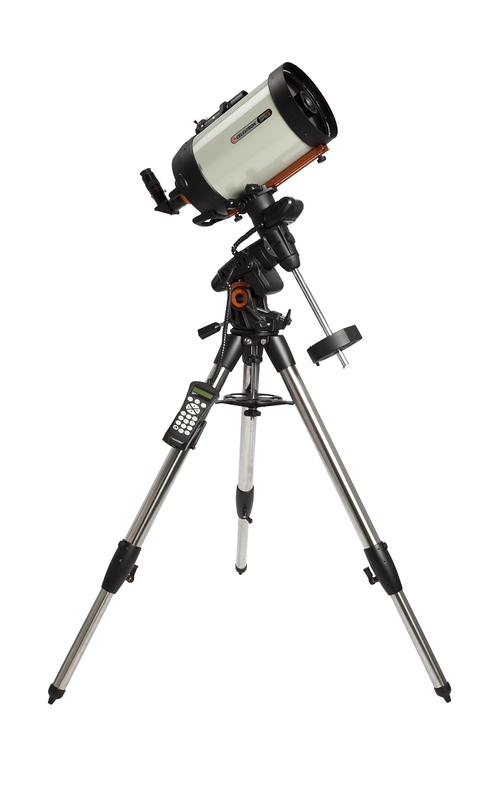 Powerful yet portable, the Celestron Advanced VX 8" f/10 EdgeHD GoTo EQ Telescope provides users with a complete astronomical observation platform for the moon, planets, galaxies, nebulae, and thousands of other near and deep-sky objects. Included here is a large-aperture EdgeHD Schmidt-Cassegrain optical tube assembly, the iconic NexStar+ GoTo computer hand controller with a 40,000+ object database and alignment assistance, the solid Advanced VX motorized mount, plus an assortment of accessories to get you set up and observing right out of the box. 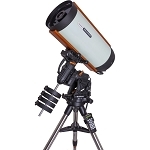 Engineered to deliver sharp and clear distortion-free views, the Celestron EdgeHD CG-5 8" f/10 Aplanatic Schmidt-Cassegrain Telescope is an ideal choice for observation, astrophotography, and imaging objects within or beyond our solar system. It features an aplanatic Schmidt-Cassegrain optical system consisting of a corrector plate, a spherical primary mirror, and a secondary mirror along with a set of field-flattening lenses integrated into the baffle tube. 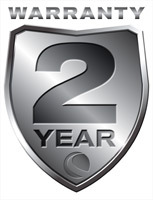 Complementing the EdgeHD system is the proprietary StarBright XLT optical coating system, which improves light transmission and reflectivity across the entire visual spectrum. The combination of EdgeHD and StarBright XLT produces bright and clear high-resolution images with true color rendition across the entire field of view without distortion, aberrations, or off-axis comas. Optimized for imaging, the internal focusing system features mirror support clutches to ensure proper alignment and mirror locks to avoid accidental defocusing during long-exposure astrophotography. The optical tube is outfitted with a standard 1.25" visual back to make it easier to find eyepiece, accessories, and imaging gear. For visual observations, a 1.25" star diagonal is included along with a 40mm Plössl eyepiece that yields 51x magnification. The EdgeHD 8" is offered here without a mount or tripod for users who already have a reliable support system and are looking to upgrade or add to their existing gear, but comes with a standard-sized CG-5 dovetail plate that is compatible with Vixen-style saddles. 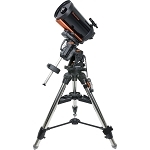 Engineered and optimized for astrophotography with mid-sized optical tube assemblies, the Celestron Advanced VX GoTo German Equatorial Mount delivers the performance required for clear images through the use of dual-axis low-cog DC servo motors and backlash compensation. Added to this are encoders on the motors and Permanent Periodic Error Correction (PPEC) which help to improve positioning and tracking precision and ensure your target object stays centered for long-exposure photography techniques. Supporting the mount is a large 2" stainless steel tripod that has a wide stance for stability on most terrain, and a center tray that holds 1.25" and 2" eyepieces and accessories and acts as a leg-lock to further stabilize while helping to minimize vibrations. The brain of the system is the NexStar+ computer controller which is equipped with a database of over 40,000 objects, including the planets, stars, nebulae, galaxies, and the complete Messier catalog; it can also be programmed with up 100 custom user-defined objects with filters to create custom object lists. Its intuitive menu-driven user interface makes observing the heavens fast and easy; features such as guided tours, extended information on 200 popular objects, and multiple alignment options make the NexStar+ controller an invaluable tool to new users and experienced star-gazers alike. Box Dimensions (LxWxH) 25.0 x 15.0 x 14.0"
Box Dimensions (LxWxH) 38.0 x 26.0 x 12.0"
Based on Astronomy magazine's telescope "report cards", scopes of this size and type generally perform as follows . . .